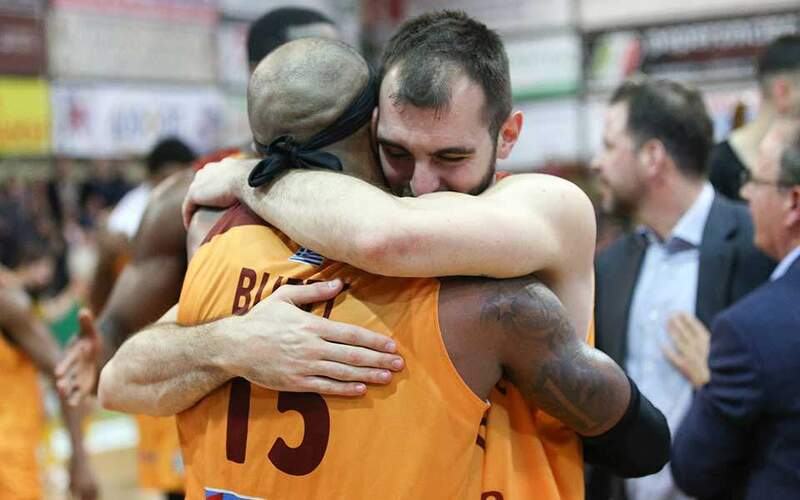 AEK is four points away from winning its first league title in 24 years after it beat Panathinaikos in the Athens derby on Sunday and Olympiakos dropped two more points at Livadia. The Super League emerged from its two-week freeze and the Yellows downed 10-man Panathinaikos 3-0 in front of some 35,000 fans at the Olympic Stadium of Athens to reach up to 60 points at the Super League table. AEK led through Sergio Araujo after 30 minutes, and four minutes later Emanuel Insua received his second yellow card to leave the Greens with 10 players. In the second half Rodrigo Galo and Araujo again sealed victory for the hosts, while the visitors voiced serious complaints about he refereeing of the derby. 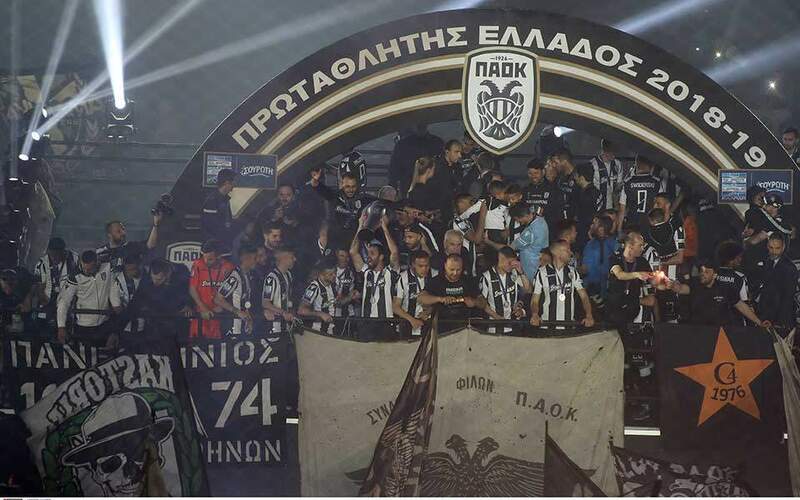 PAOK moved back up to second, on 52 points, through a 2-0 win at Atromitos on Saturday, goals coming from Djalma Campos and Jose Angel Crespo. Olympiakos dropped to third, on 51, after drawing 1-1 at Levadiakos on Saturday. Ibrahima Niasse gave the Livadia team the lead on the fourth minute, with Karim Ansarifard equalizing for Olympiakos exactly 45 minutes later. Xanthi maintained its advantage in the battle for the fifth spot snatching a goalless draw at challenger Panionios, but Asteras Tripolis will catch up with the Thrace club if it beats bottom team Platanias at home on Monday. In the battle to avoid the drop, Apollon climbed out of the relegation zone with its 3-0 defeat of Larissa, while rival Kerkyra could not find a way through the Lamia defense and their match on Corfu finished goalless. Panetolikos climbed to eighth with its 1-0 win over PAS Giannina.